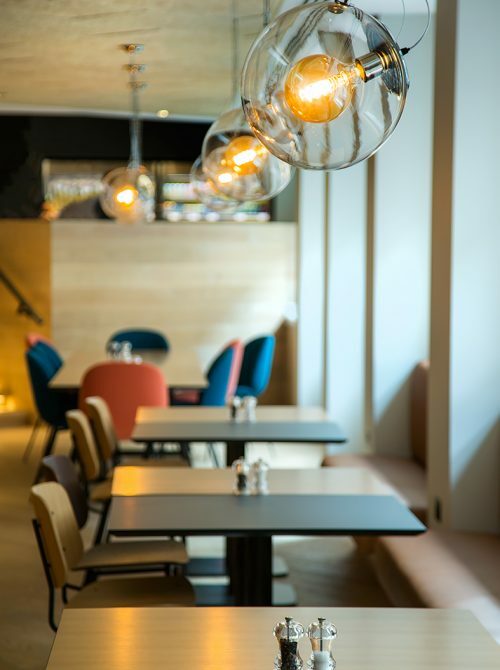 Ceba Solutions Ltd were invited to tender for a full “design and build” package to totally refurbish White & Case’s existing catering facility in Central London. The White & Case building is a prestigious building in the middle of the city spread over 5 floors. 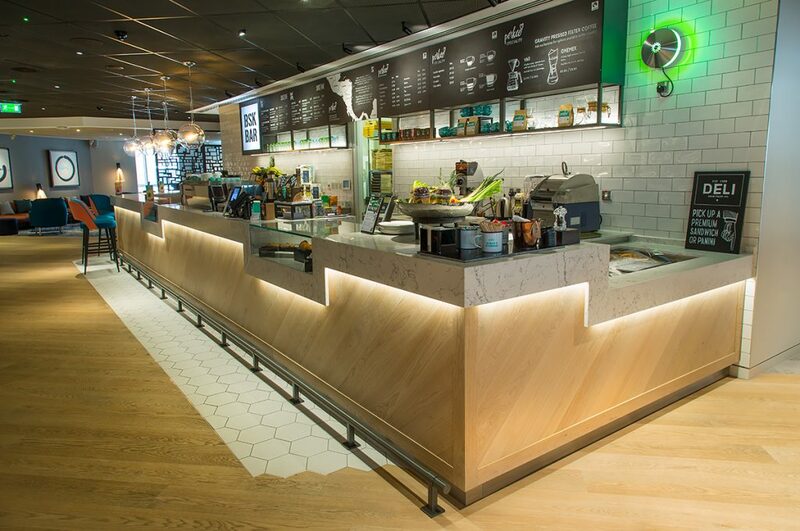 We were tasked to refurbish whole of the 2nd floor catering facility. 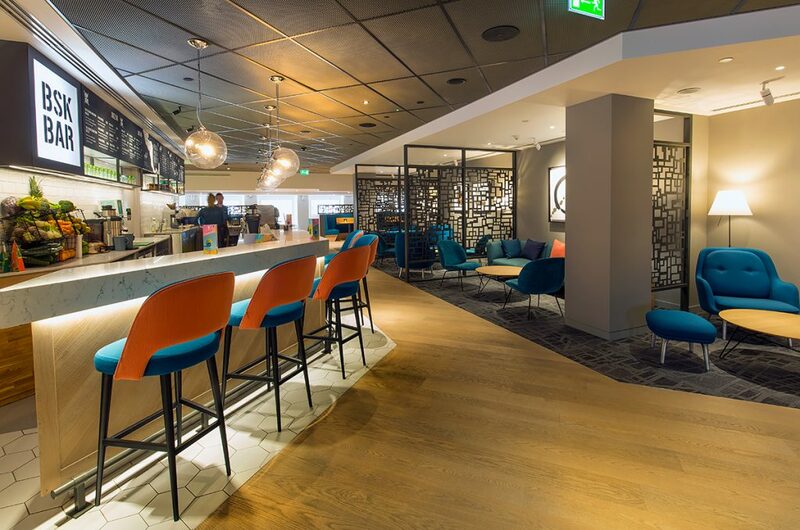 Ceba Solutions were also responsible for stripping the whole area back to an empty shell including the infrastructure and designing a new purpose-built restaurant, multipurpose coffee bar and seating area. This is one of Ceba Solutions biggest projects with multi-trade collaboration. 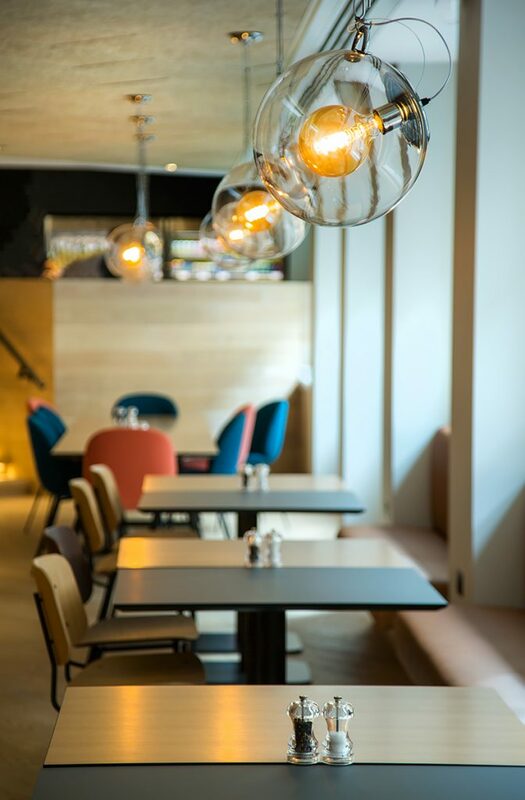 Opening our capabilities to areas we had not tackled previously, such as Acoustic Design, High level Mechanical services, Lighting Design, AV, Data Cabling and Fire protection. We also had a tight lead time from tender acceptance to commencing works onsite, starting 2nd January 2018, lasting ten weeks. 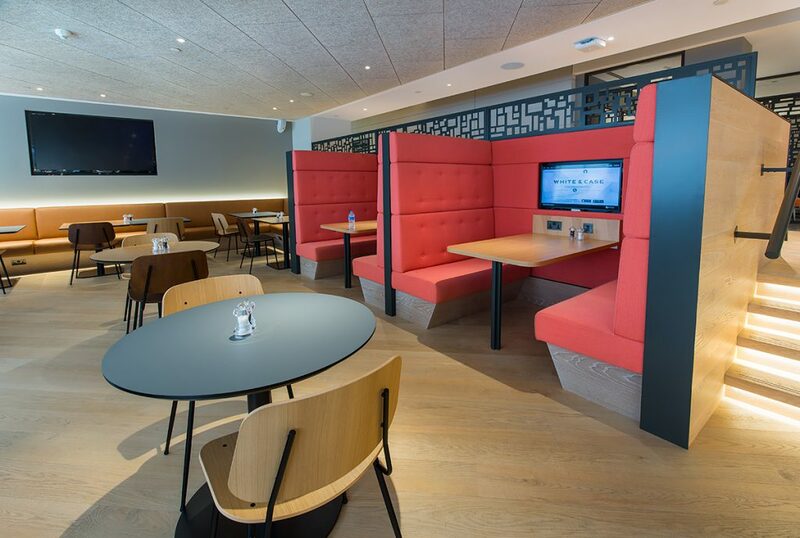 Counterline also supplied laser cut fabricated fritted screens to section off soft seating areas in the business lounge.